Visit this famous zoo with the UK's only giant Panda's. Home to the UKs only giant pandas and koalas, as well as more than 1000 other amazing animals. This World Class zoo promotes the conservation of animal species and wild places, through captive breeding, environmental education and scientific research. It offers a truly amazing day out for all the family! 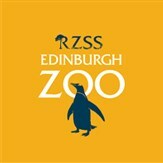 If you would like to see the Panda's a time slot has to be booked direct with the zoo before the day of travel.